HomeDeal of the DayZeiss Batis and Loxia ON SALE. All Lenses Slashed! One link to all. Hey guys! 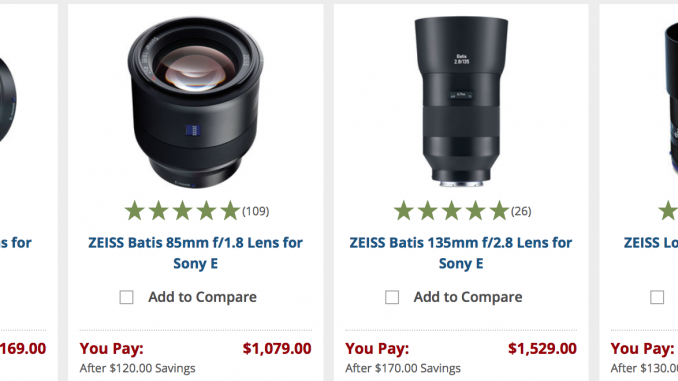 I am out of town right now but saw that Zeiss has slashed the prices of their (fantastic) Batis and Loxia line of lenses for a limited time. I used to own a few of these and they were all superb pieces of glass. The Loxia are all manual focus and the Batis have Autofocus. These are all for Sony E Mount.